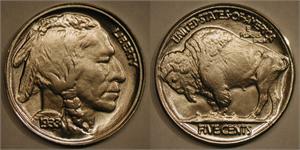 The US Mint produced Indian Head Bison nickels from 1913 to 1938. However, no nickels were dated 1933. 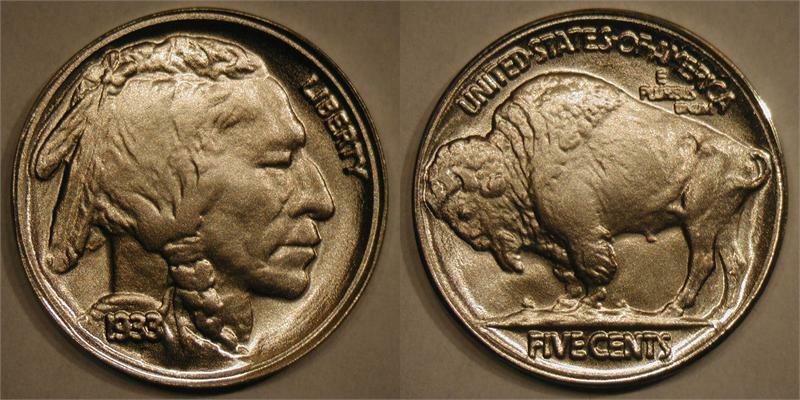 I just can't get enough of these 1933 Buffalo Nickels. Already having the regular strikes, there was no way I could pass up these broad-strikes. Gorgeous! All these "fantasy" strikes are truly wonderful. Wonder what is next?